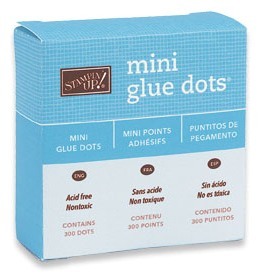 Create with Gwen: Adhesives Must Haves! 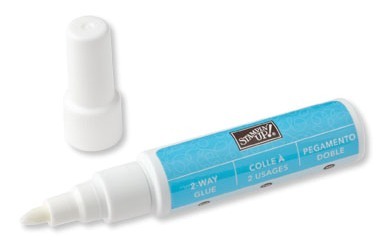 2-Way Glue is versatile and provides a permanent or temporary bond. 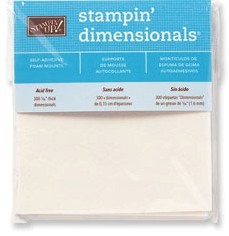 It's perfect for masking or working with stencils! The chisel tip makes it easy to get just the right amount of glue for adding glitter. Let the glue dry after you’ve applied it (it will become clear), and it will work just like a sticky note! 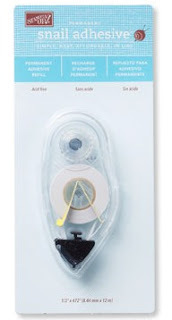 SNAIL Adhesive (simple, neat, affordable in-line) applies a controlled amount of adhesive directly to your project, so your hands and work area never get sticky. A small amount creates a strong bond, so your cartridge lasts a long time. We also have refills that slip right into the cartridge, so you’ll never find yourself without your SNAIL. 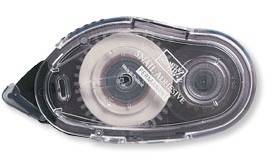 You’ll love the adhesive, and it’s a great price, too! 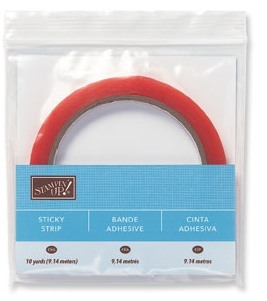 This super-strong adhesive will hold together a box or pouch like a dream! It won’t lift, curl, distort, warp, or wrinkle. You can also use it to adhere other craft-related embellishments, such as beads, glitter, or embossing powder. ■ Double-sided, pressure-sensitive acrylic adhesive. Stampin’ Dimensionals are the easiest way to give your projects an instant 3-D look. Just stamp an image, trim around it, and then use a Stampin’ Dimensional to attach it to your project. They are also great for making greetings stand out and attaching 3-D objects such as tags and bows. 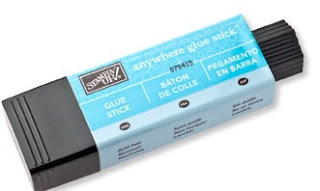 Ad these adhesives to your Stampin “Tool Box”. No line, no waiting, when we have a full house at my stampin events! Keep your kit stocked and you're always ready to grab and go to My Events!